During 1932, the occupation of the Colombian towns of Leticia and Tarapacá by Peruvian troops and civilians, in the Amazon region, led to a conflict that almost ended in a total war between both countries. Aviation played an important role on both sides, due to the complicated jungle environment. During 1932, the occupation of the Colombian towns of Leticia and Tarapacá by Peruvian troops and civilians, in the Amazon region, led to a conflict that almost ended in a total war between both countries. Aviation played an important role on both sides, due to the complicated jungle environment, which makes any land movements almost impossible. After some ground and air combats, a ceasefire was agreed and the conflict was resolved. 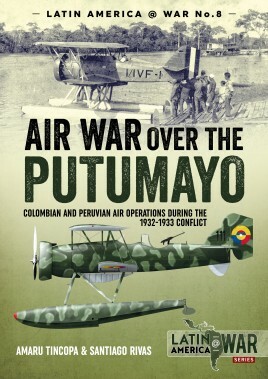 But the war over the Putumayo area became the baptism of fire for the Peruvian and Colombian air forces, leading, in the second case, to the development of its military aviation, which was almost nonexistent in 1932. For Peru, the result of the conflict was also a rearming process, which proved important when in 1941 it entered into war with Ecuador. This book is supported by a large number of rare and previously unpublished images, and specially commissioned color profiles showing camouflage and markings. Born in Lima, Peru, in 1977, Amaru Tincopa is a graduate in law. He developed a strong interest in history at a very young age and began researching and publishing about Peruvian and Latin American military aviation history quite early. His first book, covering the deployment history of the Aeroplani Caproni and that Italian company’s endeavour in Peru was released in 2003 for an Italian publisher. He has since published a dozen additional titles in Argentina, France, and the United Kingdom, while three others are in the pipeline. Amaru Tincopa is currently cooperating with numerous renowned military aviation history magazines around the world. This is his second instalment for Helion. Santiago Rivas was born in Buenos Aires, Argentina, in 1977 and graduated in journalism. Since 1997 he has worked in aviation and defence journalism, travelling all across Latin America to research for articles and books. In 2007 he published his first book, about the Malvinas/Falklands War for a Brazilian publisher and since then, another eighteen titles have published in Argentina, Brazil, France, Germany, Austria and the United Kingdom, with others still to be released. He has also published articles in more than fifty magazines in twenty countries and currently works for more than twenty of them. He has three children and lives in Buenos Aires, travelling extensively within Latin America to fulfil his research work. "What a superb study. I thoroughly enjoyed this picture-packed page-turner. More, please! Rabidly recommended!" 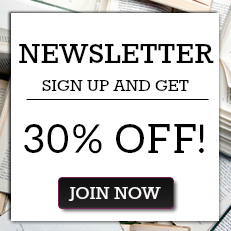 "Another interesting and informative addition to this series, and again I enjoyed discovering more about a history I hadn't known about beforehand"